Things might not get better for me, but I can get better despite things. When I was a newcomer, I was convinced that because I was now sober, things in my life would get better. I was sure my career would finally get on track, my relationships would improve, etc., and I knew that as those things came together, I would finally be happy. In fact, I secretly felt like I deserved for things to improve now that I was being “good”. Boy was I wrong. What actually happened was that my life started to spiral out of control. It was as if things had a natural momentum to them, and even though I wasn’t acting the same way, the wreckage of my past was beginning to catch up with me. As I grew more and more miserable, my sponsor taught me something that set me free. I remember he sat me down and asked me if I could make it through the day without a drink or a drug. I told him I could, and that’s when he taught me that while I may not be able to control all the things in my life, I could control the most important thing of all – my sobriety and my recovery. He told me that if I took care of that, then all the other “things” would work out. While at first I didn’t believe him, it turns out he was right. I can get better if I focus on the one thing that matters. 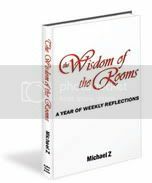 The above is excerpted from “The Wisdom of the Rooms” by Michael Z. Volume Four Now Available! Order Your Signed Copies Today! This beautiful, Fourth Volume will enrich your recovery for years to come! Have you “tried everything?” To learn about Affordable Phone Counseling with Joe Herzanek click here. This entry was posted in AA Related, The Wisdom of the Rooms and tagged AA, AA Wisdom, Al-Anon, Al-Anon literature, alanon, alanon help, alcohol addiction help, changing lives foundation, help for family of addicts, I can get better, Why Don't they Just Quit, wisdom, Wisdom of the Rooms on October 31, 2011 by jherzanek.